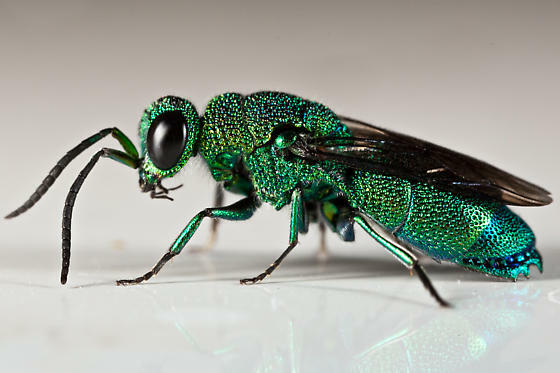 Chrysididae wasp. Terminal abdominal segment has like a crown of spikes. Sine ovipositor is visible it is obviously a female. I am in perpetual awe of this photo -- thanks for adding it to the website! Thank you, it is one of my favorite photographs. It prints very well also, on luster and on fine art paper. Also, the wasp was returned unharmed to its original location.